On September 20, 2017, Hurricane Maria ravaged Puerto Rico, aggravating a decade-long fiscal crisis that had already weakened Puerto Rico’s educational, social, and economic infrastructure. For the past year-and-a-half, Ciencia Puerto Rico (CienciaPR) has been hard at work on a new strategic direction to focus on an area of ​​great need and of vital importance for the future of Puerto Rico: transforming science education to promote a culture of science, critical thinking and problem-solving. The historic devastation caused by Maria has made the implementation of our new strategic direction more urgent. In response, CienciaPR is launching a pilot project that brings together scientists, educators, and students for the co-creation of science lessons that encourage creativity, resilience, entrepreneurship, and the development of problem-solving skills. The initial set of science lessons focuses on renewable energy, environmental sustainability, clean and potable water, and terrestrial ecosystems—topics that are not only relevant immediately after Hurricane Maria, but to rebuild a stronger and more resilient Puerto Rico. This pilot will serve as the foundation for our bold 10-year plan to transform science education. You can support this project through a donation! Science education in Puerto Rico is failing. In 2016, only 4 in 10 eight grade public school students were proficient in science and 97.9% of middle school students who took the Program for International Student Assessment (PISA) test, where Puerto Rico ranked 64 out of 70, exhibited low abilities interpreting scientific information and working on complex problems. In both science and math, the highest drop in academic performance is observed in middle school. The reasons for these educational disparities are complex. In Puerto Rico, as in many countries, science is mainly taught through textbooks, without engaging students in the process of inquiry and discovery. Science is taught in a manner that is often disconnected from the social and cultural milieu of the students. Moreover, the vast majority of science teachers have no experience with scientific research, which makes it difficult to incorporate experiments, project-based learning, and research into the classroom. In the aftermath of Hurricane Maria, the education of almost 350,000 students in Puerto Rico has been upended. Schools were closed for weeks, and 158 of them have not opened yet (as of Nov. 20, 2017). Many children were not only displaced from their homes, but also their schools. At this critical juncture, scientific education is an even more compelling need for Puerto Rico than before. Over the next 10 years, CienciaPR will launch a program that brings together scientists with middle school educators and students to co-create science education resources and experiences that are based on discovery, experimentation, and problem-solving; provide culturally and socially relevant educational experiences; convey the excitement of scientific discovery and research;and provide role models and examples to follow. Our community of more than 8,300 members—educators, students, and STEM professionals—will be a critical component. These experts, who are committed to Puerto Rico, have been the key ingredient in all of our past efforts in science outreach, education, and professional development—for which we garnered White House recognition as a Bright Spot in Science Education of Hispanics in 2015. Over the next ten years, we will continue fostering a strong, engaged and proactive community of scientists and allies, and provide them with training to help us develop science education resources and experiences that model how science is done in culturally relevant ways. Our strategy will aim to increase middle school students' science proficiency and critical thinking skills and provide them scientific role models with whom they can identify. Educators will have the opportunity to develop their own research skills and interact with scientific experts who can serve as resources for the classroom. Scientists will be able to develop scientific teaching, effective communication, and leadership skills, while satisfying their desire to impact their community. We believe that science empowers people to be critical thinkers and problem solvers; to be resilient, self-confident and self-sustaining; and to see the world as explorers and innovators. A good science education also prepares citizens to pursue careers at the bedrock of economic and societal progress and to make informed decisions for themselves and their communities. By focusing on science education, we will contribute to a society where individuals are empowered to think critically, solve problems and be agents of change in their communities. To successfully implement our new startegic direction we have created a new Board of Directors and hired a new Director of Science Education Programas and Community Partnerships. Meet the new members of team CienciaPR! Improve students’ proficiency, critical thinking, and attitudes toward science by bringing the process of science into the middle school classroom in a culturally relevant way. 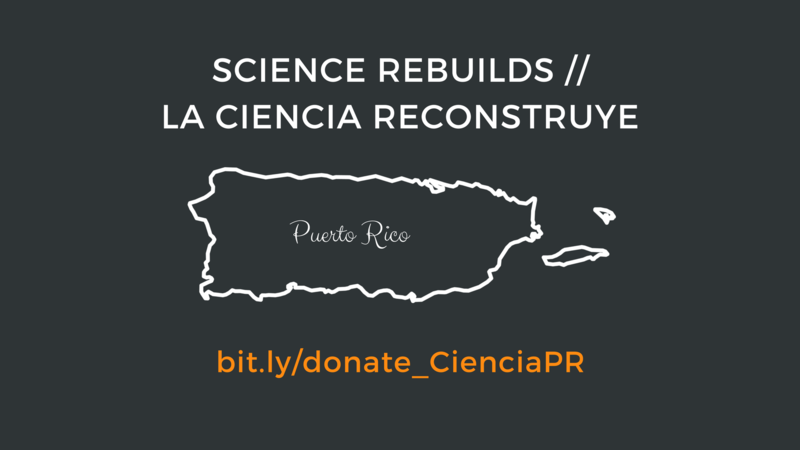 Foster a strong, engaged, and proactive CienciaPR community and provide members the skills to impact their communities through science outreach. Grow CienciaPR's infrastructure and human and financial resources to assure sustainability. By 2017, establish expanded Board of Directors and seek input from the community (scientists, teachers, students) regarding ways in which CienciaPR network and science education projects might propel and sustain their outreach and career goals. By 2018, launch a science education pilot project that trains and connects at least 50 teachers with 25 scientists to co-create and develop more effective science education lessons and impacts at least 2,500 middle school students. By 2020, have refined and validated the design, assessment instruments, and trainings of our program to transform science education lessons. By 2027, demonstrate program effectiveness through significant increases in academic achievement, attitudes, and enthusiasm for science among middle school students and prepare to expand the program into a larger number of schools.